Introducing the game-changing P365 High-Capacity Micro-Compact. The revolutionary new concealed carry pistol that gives you more capacity, more concealability and more capability. It’s the one gun you can carry every day of the year. SIG SAUER is proud to announce that the P365 has been selected by the NRA’s Shooting Illustrated Magazine as their Golden Bullseye winner for 2019 Handgun of the Year. 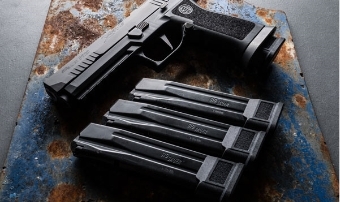 This award, along with all of the recent awards and accolades including: Guns and Ammo Magazine’s 2018 Handgun of the Year; the Industry Choice Award for Handgun of the Year; 2018 Ballistic Magazine’s Editor’s Choice for Compact Semi-Automatic Pistols; and the NASGW-POMA Caliber Award for Best Overall Product is further evidence of the P365’s unequaled innovation, unparalleled quality, and unmatched reliability. We are honored to have this recognition from our peers as we work to continually bring the world’s best products to our customers. 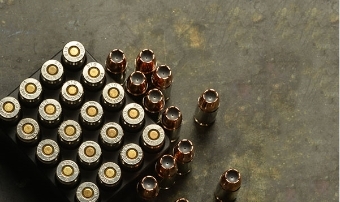 Founded in 1853, SIG SAUER is a weapon systems manufacturer with a long-standing commitment to innovation, ingenuity, and quality. For decades military, law enforcement, and commercial users have favored SIG firearms for its passion for design, durability, and accuracy. SIG’s extensive manufacturing capacity allows it to respond quickly to changing market conditions on a global scale, while not compromising the quality and reliability of its products. 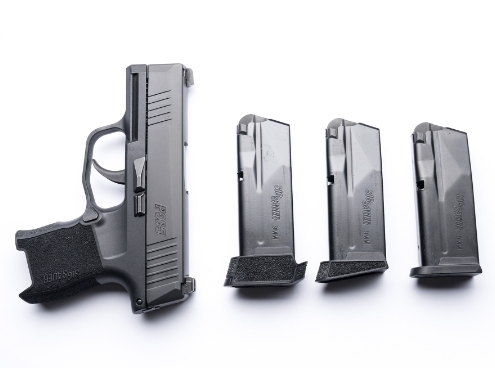 The P320, P226, and P229 are just a few examples of SIG’s high-quality manufacturing and dedication to consumer’s needs. 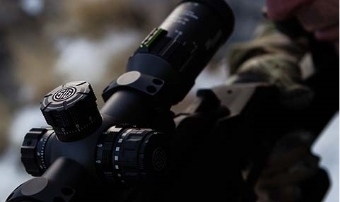 SIG SAUER also holds a strong reputation for manufacturing world-class optics and accessories that have increased accuracy and performance above its competition. Whether you’re military, law enforcement, or simply a gun enthusiast, “Never Settle” by choosing SIG SAUER.